Is Wedding Lighting a good choice for one of the greatest moments of your life? Your wedding photos will tell you the answer! 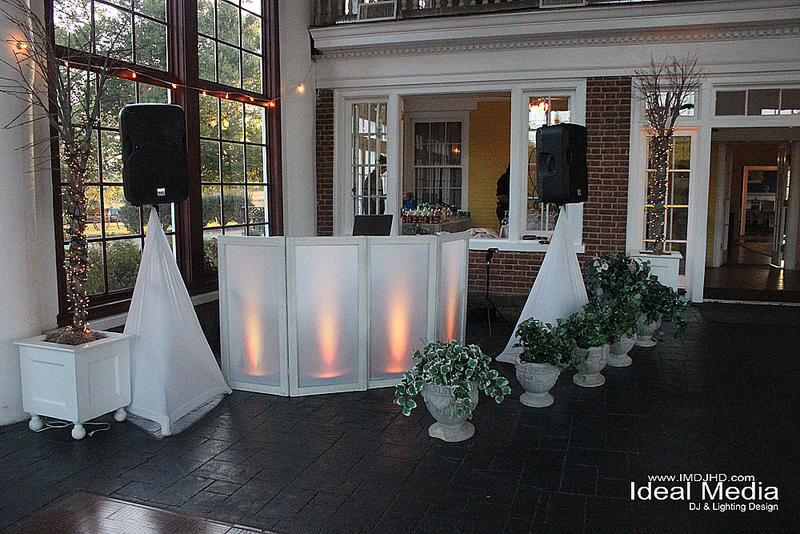 Lights can and will always add a more desirable atmosphere to any event. We provide wireless LED uplighting, pin spot lighting, party and effect lighting, strobe lighting, and stage lighting. Whether it’s 1 light or 100 lights, when placed in the right position(s), and programmed by professionals, it will contribute to the overall mood of any event. Take a look and see which option works best for you. Wireless LED Uplighting- This is an awesome feature which is in high demand. Up-lighting a room can illuminate a room to the color you desire. The end result will give the entire space a glowing, ambient atmosphere. Most common uses are for weddings, parties, and corporate events where there is a color theme. Anyone can use up-lighting to turn their entire room into the color(s) of their choice or have the entire room strobe/fade randomly or to the sound of the music!!! Can also be manipulated with a Lighting Controller. We now have brand new Wireless Uplighting services for weddings and parties. 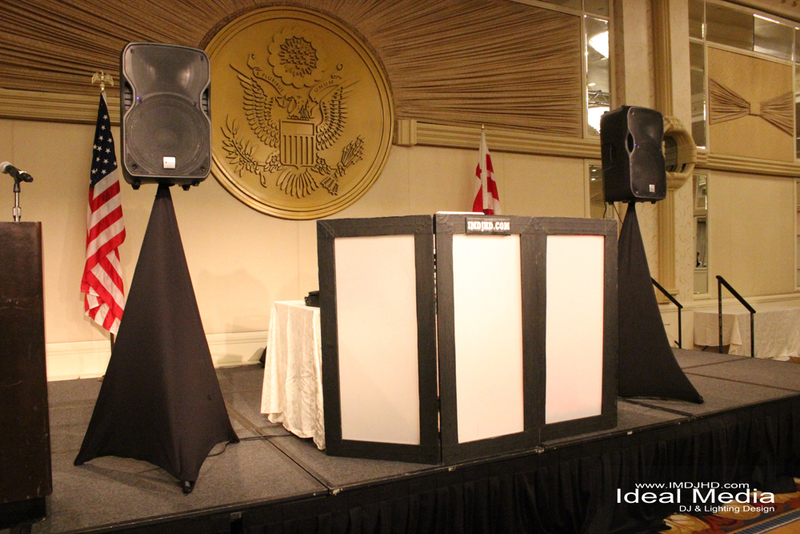 LED Frontboard/Facade- With these frontboards, your event will always look more professional and appealing. We can use white frames or black frames while setting the 4 panels to the colors of your choice. We can also use white or black speaker covers for an even better touch to match your style. Pin Spot Lighting- With Pin Spot LED Lighting, you can highlight any subjects for the duration of your event. These lights can be pointed at guest tables, head tables, centerpieces, podiums, cake tables, gift tables, stages, disco balls or dance floors. Our Pin Spot fixtures come in white, yellow, red, blue or green colors. Monogram Projection- Perfect for Weddings and Corporate Events where initials, names, dates, logos, and pictures can be illuminated onto a wall, ceiling, or floor in the color of your choice. Spotlight- Can be used for anyone who will be the center of attention. Most common uses are for speakers, hosts, and wedding reception first dances, last dances, mother/son, and father/daughter dances. Can also be manipulated with a Lighting Controller. Party lights- The party lights are multi-colored, strobing, moving, sound-actived lights that will definitely enhance the area when it’s time to dance. These lights are perfect for the dance floor and motivate people to dance by transforming the space into a party atmosphere. Black Light Party- Have you ever seen parties where the guests look “inverted” or where all bright colors stand out? That’s done with black lighting. 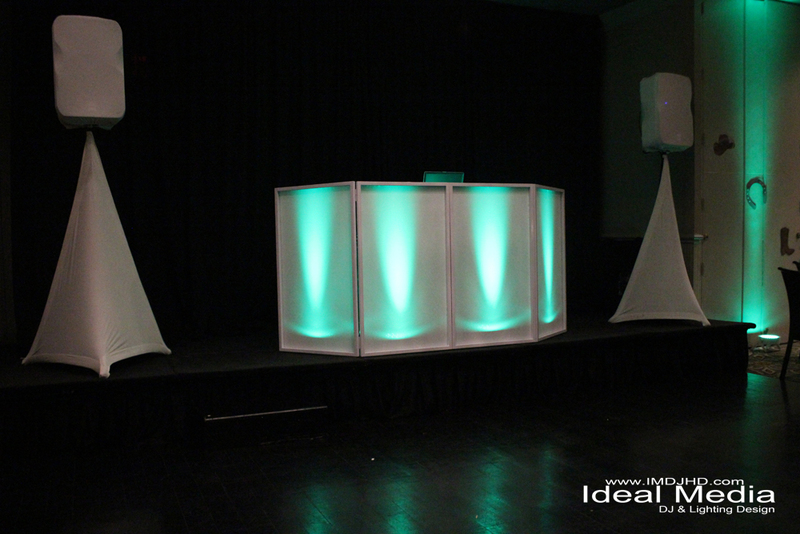 These high powered units are perfect for events where you want more of a retro or glow in the dark look. Water Effect Light- This light creates a moving water or cloud effect on your dance floor, on the walls, ceiling, or even on your guests. This can be set to move fast or slow and can fade colors. Definitely a unique effect for any event! Fog Machines – We all know that fog machines can make any event look excellent. 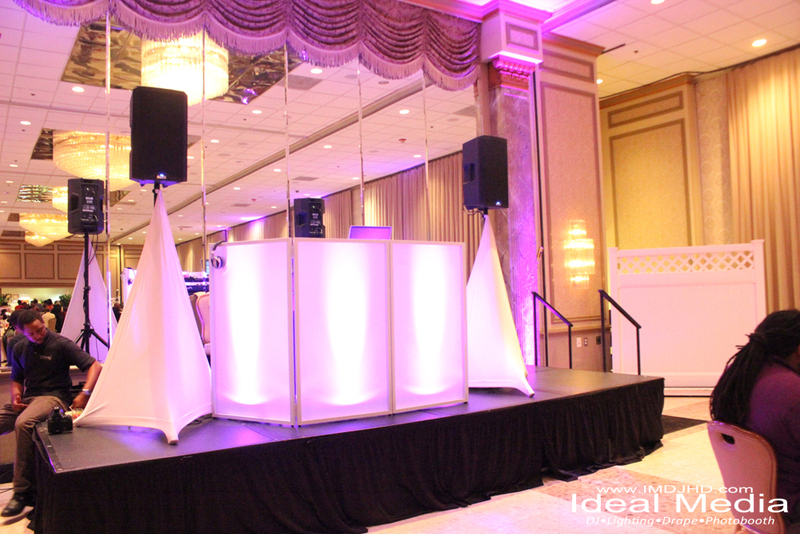 It’s ideal for clubs, parties, concerts, and any event where this effect is desired. Fog also makes any lights look better, especially lights that strobe and move. As long as your venue permits fog, it’s definitely a great addition to consider. For more info or to get a quote within 48 hours, click here!